The author, Julian C. Piper, is a guitarist who spent many years touring Europe and England backing backing visiting American blues artists. He acknowledges that time spent with Carey & Lurrie Bell, Eddie Kirkland, and Lazy Lester was a tough way of learning how to play the music properly. Piper was also attending classes at the University of Exeter. In his third year, at the age of forty, he left his pregnant wife and flew to Louisiana for a year of studies in American arts at Louisiana State University. 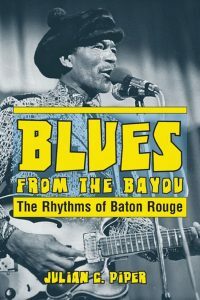 This book chronicles his immersion in the Baton Rouge blues scene during that year as well as his experiences backing some of the same musicians once he returned home. 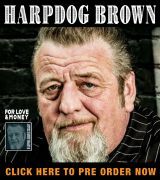 Across twelve chapters, Piper provides brief historical outlines of the careers of some of the key Baton Rouge artists, sprinkled with stories that he was told or of events he witnessed first-hand. In 1987, the community focal point was the Blues Box, a juke-type club run by Tabby Thomas, a noted blues singer and guitarist. Remembering his first visit, Piper writes “…..And the music ricocheted around the club like ball bearings being shaken in a colander.” He devotes one of the longer chapters to detailing the importance of the club in nurturing musicians by providing a place to play. Another chapter gives “Rockin’” Tabby Thomas his due as the “King of Swamp Blues” and the man who worked tirelessly to keep his club open while also being on the look-out for that elusive hit record. Piper also devotes significant space to the influential legacy of Slim Harpo (James Moore), who’s lazy vocals and simple harmonica licks were perfect for delivering original songs that still resonate today, like “Baby Scratch My Back,” “Raining In My Heart,” I’m A King Bee,” and “Te-Ni-Nee-Ni-Nu”. Harpo’s hits helped established J.D. Miller and the Excello Record Company, opening the door for other swamp blues artists to record for a label capable of promoting their records. 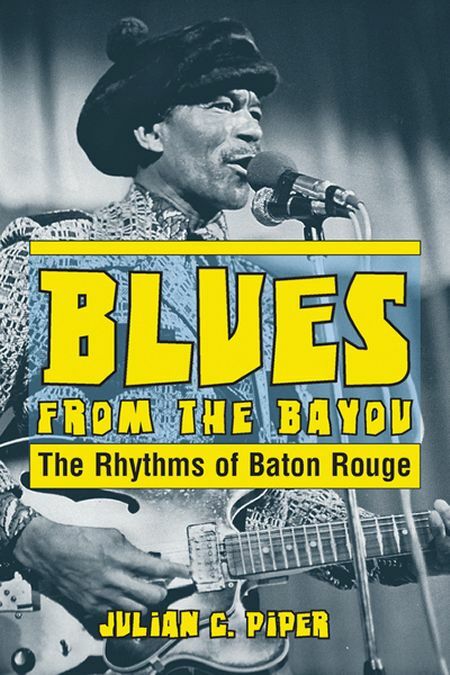 Miller is featured in a chapter along with Lightnin’ Slim (Otis Hicks), fleshed out with material the author got in interviews he conducted with Miller at his studio in Crowley, LA. Other chapters highlight Lonesome Sundown (Cornelius Green) and Lazy Lester (Leslie Johnson), who is still alive and well, playing his hit songs like “Sugar Coated Love,” “I’m A Lover Not A Fighter,” and I Hear You Knockin’”. “From Angola To Newport” relates the similar tales of Leadbelly and Robert Pete Williams, two convicts who earned pardons through their music, eventually playing major stages and festivals around the world. Raful Neal once had Buddy & Phil Guy playing guitar in his band but bad luck seemed to always stymie the career of the singer and harp playing leader of the other key extended family of the Baton Rouge scene. Piper covers the leading lights of the “next” generation, Chris Thomas King and Kenny Neal, who have taken the music even further, including a place in a Hollywood blockbuster film. Piper has a knack for telling a story in addition to relating some insights from a musician’s perspective. There is little doubt about his love for the music that captivated him during his year-long stay. 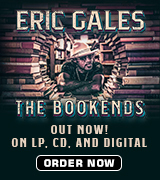 This work is his fitting tribute to the music and musicians of a by-gone era, a book well worth reading.